Lytag® 4-8mm No Fines Lightweight Floor and Roof Screed Basecoat. 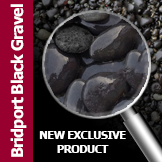 Product contains a minimum of "fines", and is offered for the onsite production of lightweight screed prior to topping off with standard cement/sand. 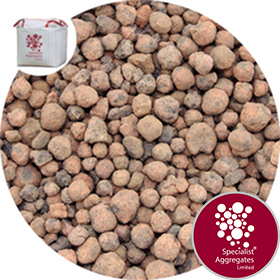 Price shown for 1 tonne big bag (Approx 1.25m3) includes VAT and delivery. Density: LYTAG® is a lightweight aggregate with a bulk density at point of supply of approximately 810 kg/m3. (ie volume for volume Lytag ® Concrete Aggregate is approximately half the weight of "normal" limestone or gravel aggregate). Moisture Content: As supplied 4-8mm LYTAG ® is likely to contain a natural moisture content of approximately 15%. Lytag® is a sintered lightweight honeycomb aggregate that is resistant to frost and chemicals, and will not break down in water. It is also non-combustible and has excellent sound and thermal insulation properties. This selected grading of Lytag® contains a minimum of "fines", and is offered for the onsite production of lightweight floor and roof screed basecoats. Lytag® lightweight screed basecoat is required to be topped off with a standard cement/sand topping. Reduced Cost - Made with approximately half the cement of conventional sand screeds. Quicker Drying Out - Free passage of air through the no fines structure ensures a quicker drying rate. Low Shrinkage A Lytag® no fines basecoat exhibits low shrinkage ( 0.04%) therefore laying in bays is unnecessary. Falls - Ideal material for constructing falls as there is no maximum depth to which it can be laid. Strength / Mix Design A 10:1 4-8mm Lytag:Cement will achieve a 6.0 N/mm2 compressive strength. When topped with the recommended 15mm of sand screed this can withstand the point loading associated with office equipment etc. Unlike conventional concrete screeds there is no maximum thickness to which Lytag® No Fines Light Weight Screed Basecoat can be laid. However, at depths in excess of 100mm consideration may be given to utilising 8-14mm Lytag® for greater ease of mixing and placement. 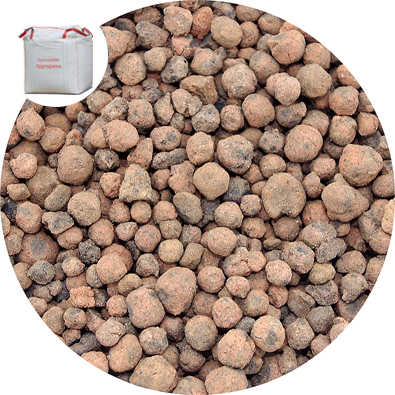 LYTAG ® lightweight screed aggregate is manufactured in the UK from reclaimed power station fuel ash (PFA). For a given volume, bound Lytag® Concretes and screeds use less cement, therefore providing a significant energy saving. 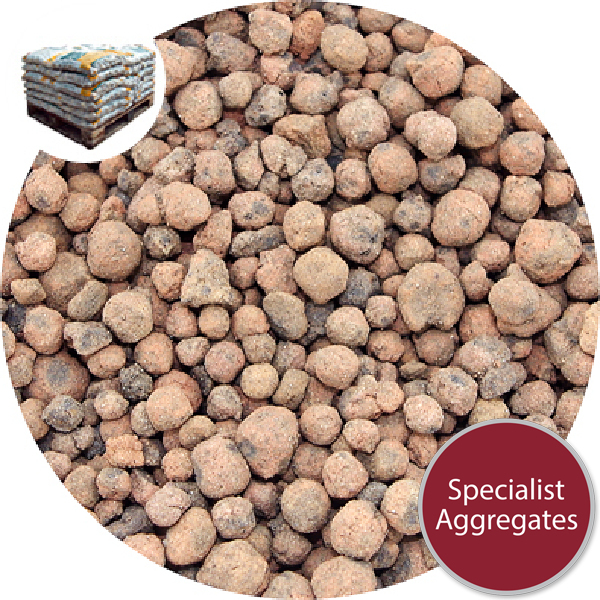 Specify: 4-8mm Lytag Lightweight Screed Aggregate from Specialist Aggregates.